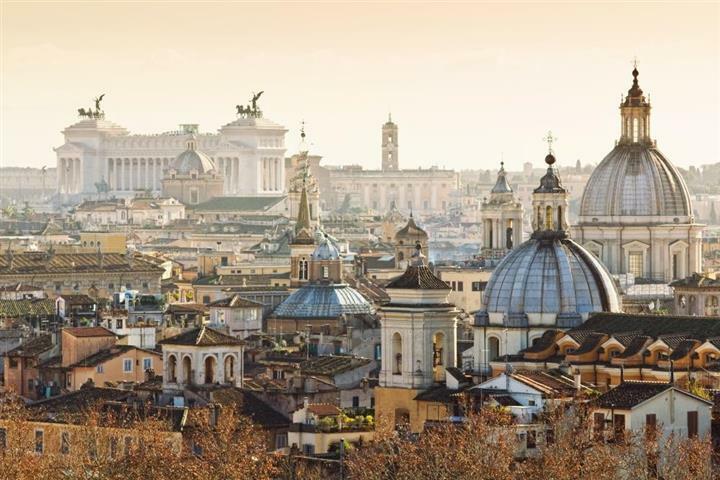 Click to see our Italy buying guide. Nestling at the heart of Italy, the Tuscany region is overflowing with marvels. Invest in old property and buy a house in Tuscany will give you the chance to live in unique landscapes where olive groves are scattered around the hillsides alongside the famous Chianti vineyards. 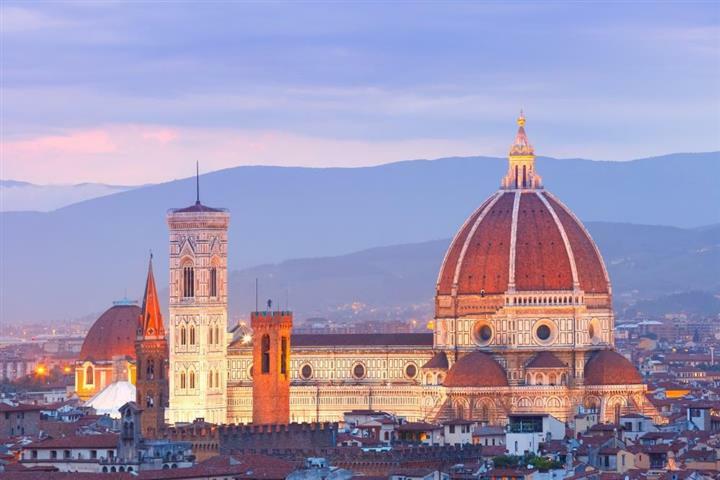 You will have the occasion to try some, while visiting Florence: birthplace of the arts during the Renaissance, the capital of Tuscany is marked by the presence of the Medicis. The other towns also have a lot to offer: we admit that we have a leaning for the Tower of Pisa, or an irresistible urge to see horse races in Sienna. The Tuscany dream drives property investment in Tuscany, which enables you to get a good return on investment if you want to buy a house or apartment there. The heel of the boot can be destabilizing with its colors and its heat. Colors from two seas that border the region, from its wild coastline to its different nature parks which leave plenty of space for nature. The region is a blend of various influences: Normans, Greeks and Sarrasins have all left their mark here. From the white 'Trulli' houses, listed by the UNESCO heritage programme, to the coastal villages of Ostuni, the choice of property is immense. It is hard not to be tempted and buy a house in Apulia. Even more so, because property prices in Apulia are very interesting: the south of Italy remains the least expensive region for property investment. Rich in vineyards and olive groves, Umbria has an important cultural heritage as the town of Perugia bears witness, marked by both the Roman and medieval period. At the heart of the boot, Umbria is a blend of magnificent landscapes, thousand year old cities, and picturesque villages. This is an ideal backdrop for buying a house there. Many medieval villages are scattered throughout the hills, where oil and wine are produced that go so well with the famous charcuterie or black truffles, typical of the region. Property in Umbria is attractive and authentic and remains more affordable that in neighbouring Tuscany. So what are you waiting for to buy a house in Umbria? Close to the sea, Liguria also offers rolling green hillsides: its 300 kilometer coastline is a mix of golf courses, palm groves, flower beds and the famous 'Cinque Terre' with its beautifully breathtaking port villages. Genoa, first Italian port and capital of the region has keept a strong Greek flavor. The medieval castle of Porto Venere completes this picture of the historic heritage of Liguria. A region of pesto, it is a blend of worldly life and relaxation. Property in Liguria is diverse and varied. A beach side villa, a country house, or an apartment near a golf course, you will have a wide choice if you would like to buy a house in Liguria. Bay of Cala Corsara, Sardinia Can we talk of THE Sardinia? Because there are in effect, 2 Sardinias, 2 different universes united on a single island. There is inland Sardinia, timeless, with its harsh landscapes, wild mountains and valleys, cork oak forests and centuries-old olive trees. And then there is coastal Sardinia ,with seaside resorts, the blue of the sky and sea, enchanting beaches and infinite possibilities for activities and entertainment. Essentially, two opposing worlds that have one thing in common: fidelity to traditions, the most sacred of which is hospitality. For here hospitality comes naturally. If this duality and a sincere welcome seduce you, take a look at the real estate of Sardinia. You'll find many properties for sale, plots of land, apartments or houses, including some at unbeatable prices. The wealth of Sicilian heritage does not need to be proved. One can visit temples there, Norman or baroque cathedrals, and even oriental gardens... So why not invest in property in Sicily? Prices to buy a house in Sicily, if one undertakes to renovate, are unbeatable. Some houses are bought for the symbolic price of € 1 (to which are added notarial fees, plus renovation costs and other ancillary costs perhaps). If diving, especially around the different islands that surround Sicily, if hiking in the wild plains, or if Etna, still active on the island are not enough to convince you, you can always relax on the beach and savor the delights of Sicilian cuisine: the fish, meat and vegetables that make up the local dishes are as delicious as they are savory. So what are you waiting for to buy a house in Sicily? Varenna, on Lake Como, Lombardy Despite being the economic heartland of Italy, Lombardy has a lot to offer to nature lovers. Its mountains provide skiers and hikers with a playground both winter and summer. Other visitors can lounge around magnificent lakes and admire delightful landscapes. Lovers of architecture and history will not be left out with Milan's extraordinary "duomo" or Sforza castle, without forgetting Pavia so rich in art and history or wonderful Mantua, jewel of the Renaissance. As for the gastronomes, the delights risotto, osso buco and other delicious dishes await them. How can you resist all that? Especially as the real estate market in Lombardy offers many properties for sale, some of them at very attractive prices. So, will it be an apartment in Milan or a villa on the banks of Lake Como?